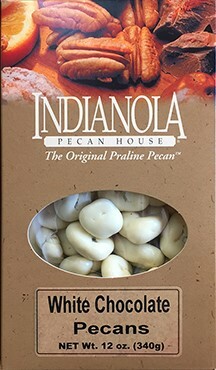 12 oz Box Creamy White Pecans - these white chocolate pecans are wonderful with our salty pecans! These creamy white chocolate covered pecans are a treat for you mouth! Try some today! From Anita VanRoekel of Falls Church, Virginia on 10/7/2009 . 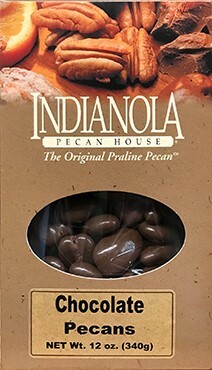 You will need some chocolate pecans with our white chocolate pecans!